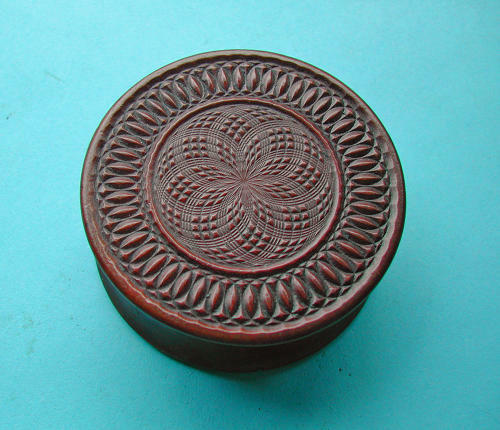 Antique 19thc Treen Engine Turned Snuff Box. English. C1840-60. A superb 19thc "engine" turned decorated Snuff Box, made out of Fruitwood, it has gained a fine colour and is in excellent original condition.